Questions about Kichler Lighting 42061CMZ? 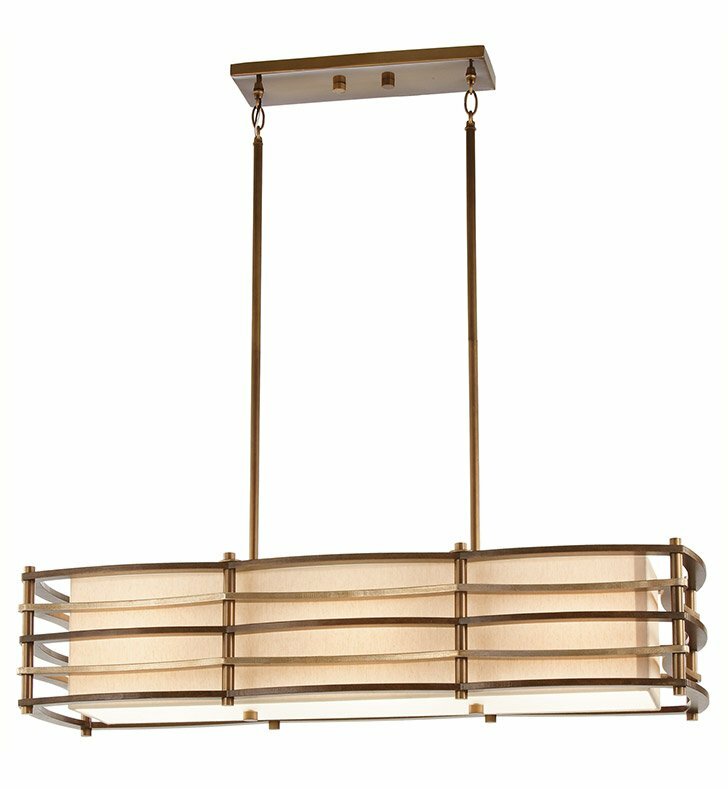 This 3 light linear chandelier from the Moxie collection makes a warm, smooth contemporary statement. This updated retro design gives a warm touch to a very geometric silhouette. Horizontal bars curve in and out, balancing each other in a yin and yang. A rectangular linen fabric shade and white etched glass diffuser soften the look. For additional chain, order 2996CMZ and additional stems 2999CMZ. Dimensions: H 13 1/2" x W 12" x L 36"